Shriram Raghavan, is one of the maverick directors who takes his own time to make films. Each one has a minimum gap of 3 years. Except Agent Vinod, the rest are timeless classics. Be it the chilling Ek Haseena Thi, or the thrilling Jhonny Gaddar or the riveting Badlapur. The latest is Andhadhun. Shriram continues his favorite genre – thriller.Ayushmann Khurana who is part of slice-of-life films in the last 6 years, has finally bagged a genre that’s quite contrasting to his safe zone. He plays the protagonist of Andhadhun and Tabu plays an equally important antagonist in the film. The movie kicks off in a field which seems totally irrelevant by what follows in the next two and half hours. (The field scene comes back only in climax, it shall only give you goosebumps). The hero begins the narration – Cut to Pune, where Akash (Ayushman Khurrana) is a blind and skilled pianoplayer. He aspires to move to London to enter a competition. In a lavish apartment, lives a veteran Bollywood star Pramod Sinha (Anil Dhawan) with his young wife Simi (Tabu). Pramod is impressed by Akashs talent and pays him for a private performance on the eve of his 3rd anniversary. When Akash visits their home, he witnesses Pramod’s murder. How does he witness it? And what twists does it lead to his life and Simi’s is the rest of the film all about. Well, the premisemight seem simple, but only when you watch the film, one would get the complexity of the film and how skillfully the writing and screenplay has been achieved for this film. There is a twist every few minutes but wait It’s not the twists you see in an Abbas Mustan films. These twists make you laugh, make you scared and many more such emotions might run through your mind. Especially, the first half’s pace is very interesting. The interval’s background music is silent but it silently creates a roar for the twist you witness. Post interval the bar raises further. However, the penultimate 30 minutes triggers a yawn, but when it comes back to the hero’s narration, you wake up slowly and the last 5 minutes is a high. Performances wise, undoubtedly Tabu tops the list. The ruthless character has been done amazingly well. One of her best. Ayushmann was not out of the world but was convincing enough. The detailing in both characters is incredible. Also, Radika Apte dominates the screen whenever she entered. Both the scenes where Tabu and Apte interact prove the finesse of each of them. Also, there are the Shrirams favorites like Ashwini Kalsekar and Zahir Hussain who also have a very definitive mannerisms and characters. They shined whenever they appeared. Amit Trivedi’s tracks were unimpressive. However, the background score is so unqiue for the film. Most of it is based on piano and it gives a very atypical feel. 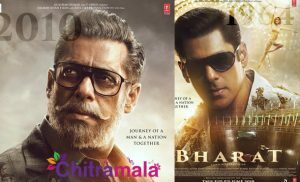 There is not even an iota of melodramatic or sad music despite the situation, which makes Mr Trivedis work appreciable and compensating for the bad tunes for this film. 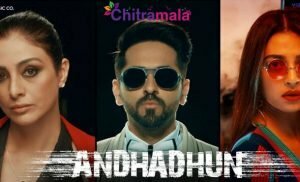 All in all, Andhadhun is another gem from Mr. Raghavan. Classic is the word.